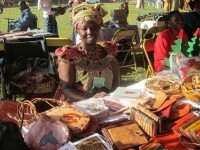 Tigoung Nonma (Tiggy – no – ma) (TN), is a cooperative of disabled artisans consisting of over 60 members. 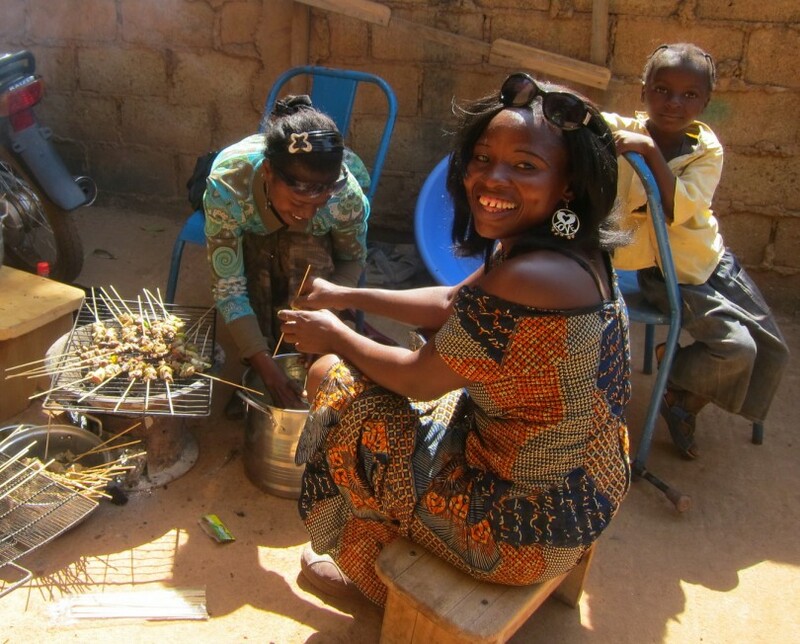 Based in Burkina’s capital, Ouagadougou, Tigoung Nonma literally means ‘Strength Through Unity’ in Burkina’s national language, Mooré. TN was first formed in 2005 and officially recognised as a registered organisation in 2006. The existing stigma attached to disability in Burkina Faso prevents many from receiving a formal education, thus making it difficult for people with disabilities to find work. It is through the production and sale of fair trade goods that TN can empower its members to become autonomous individuals, therefore enabling their participation in the socio-economic development of their country. 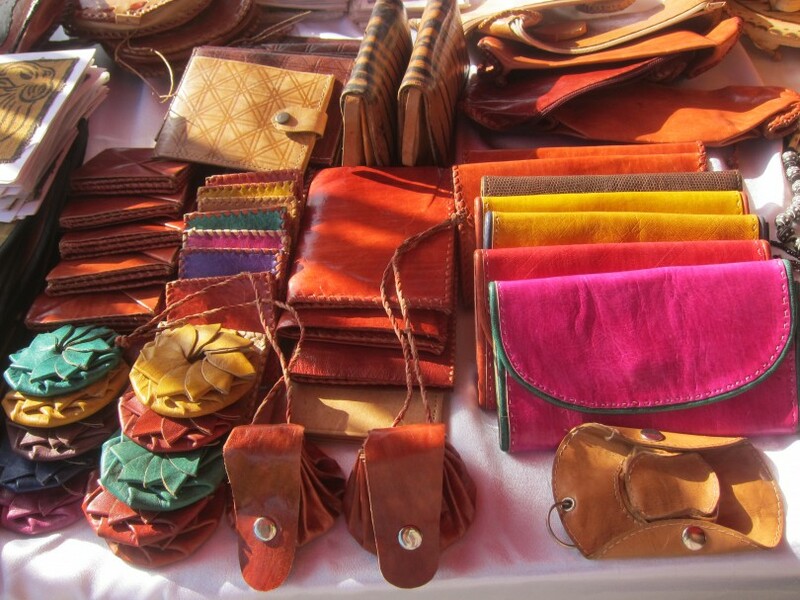 The artisans of Tigoung Nonma produce a wide range of products from hand-made jewellery, to wooden children’s toys, pottery and leather bags and purses. 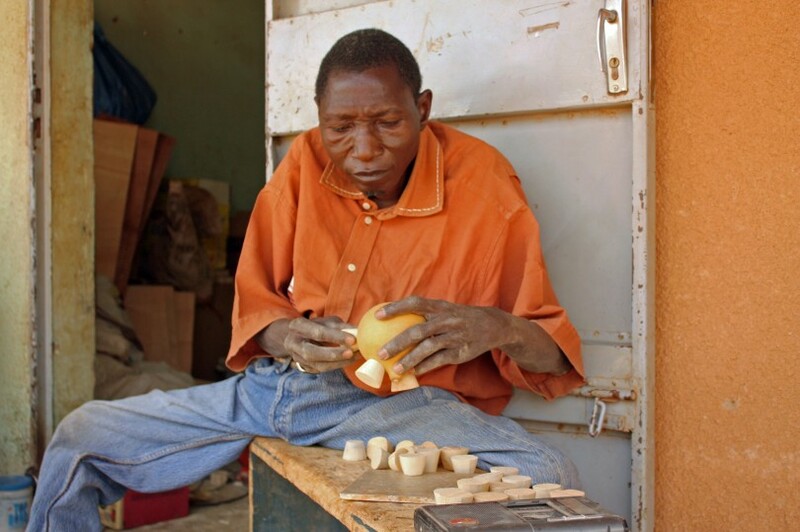 Many products are also produced using natural and recycled materials in the aim of limiting the damage to the environment and thus contributing to the fight against climate change. 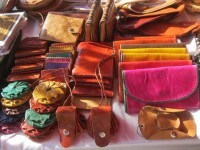 The traditional technique of ‘Bogolan’* is one such example – used in the dying of fabrics to make colourful and vibrant outfits. 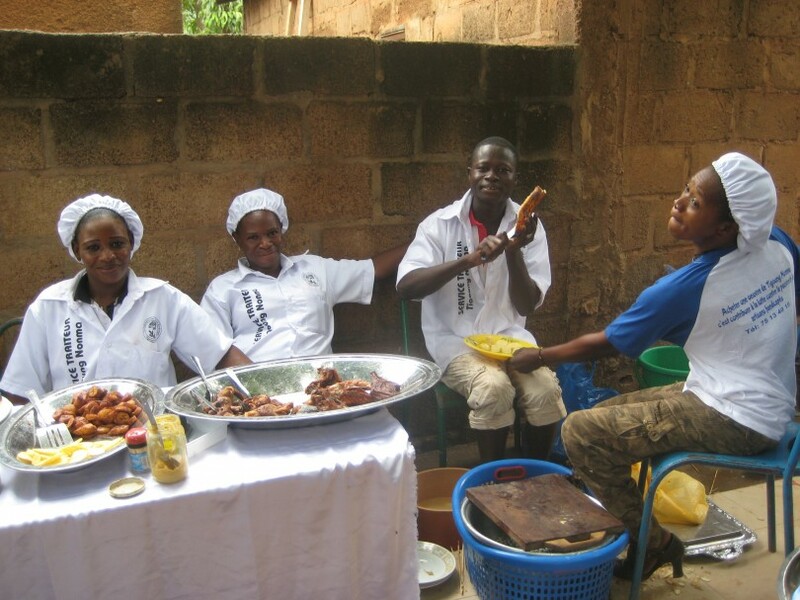 In 2008, TN expanded their income generating activity by launching a catering service run by some of the women of the cooperative. 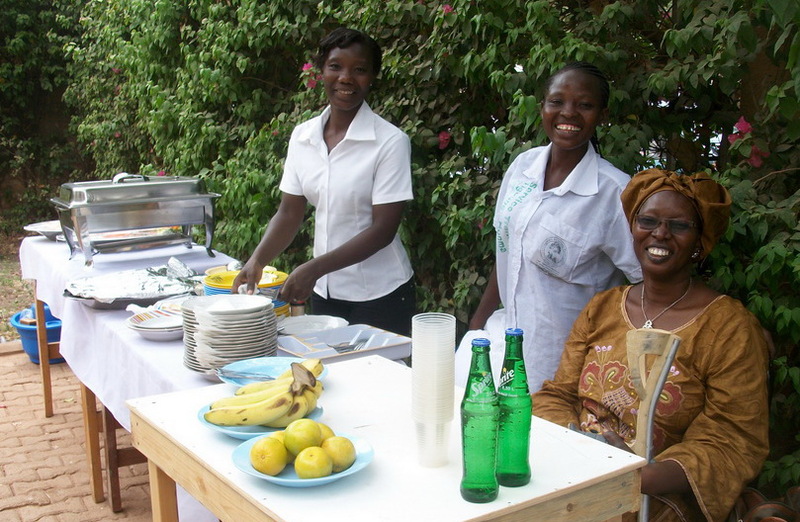 This is one of the only (if not the only) catering service run solely by disabled women in Burkina Faso. 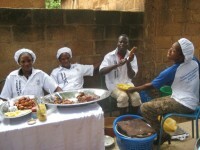 The service provides both coffee breaks and lunches to local businesses and NGOs. 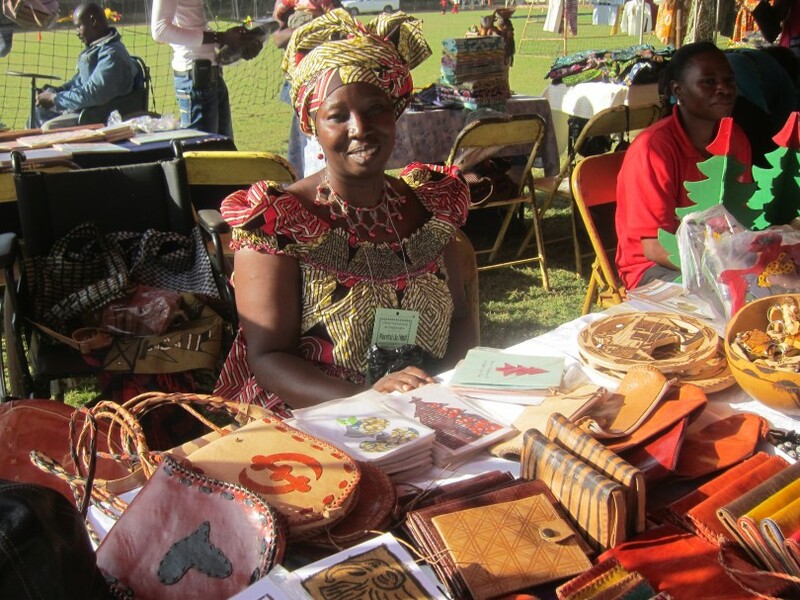 Tigoung Nonma works to find new outlets to sell their members’ products and to provide them with training so that they may hone their skills and improve their quality. 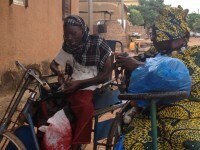 The cooperative envisions a reduction in the poverty experienced by disabled artisans of Burkina, and in particular those of its members. 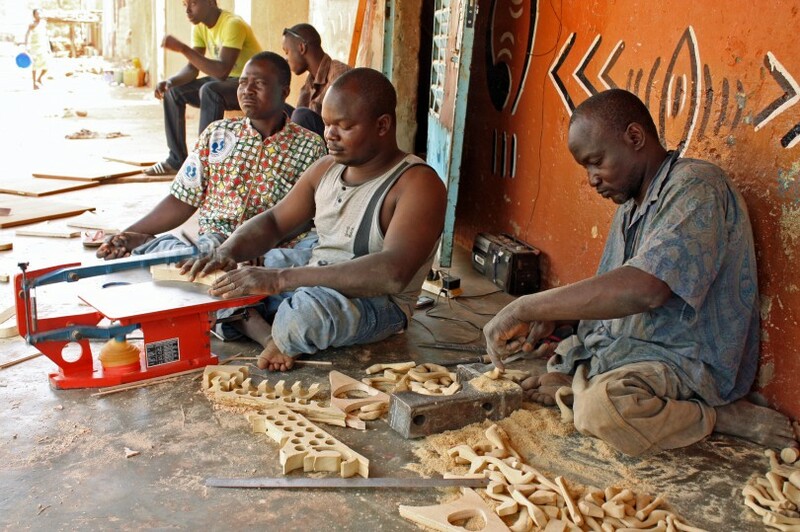 It aims to provide sustainable incomes for physically disadvantaged artisans and to make their role visible in the socio-economic development of the country. 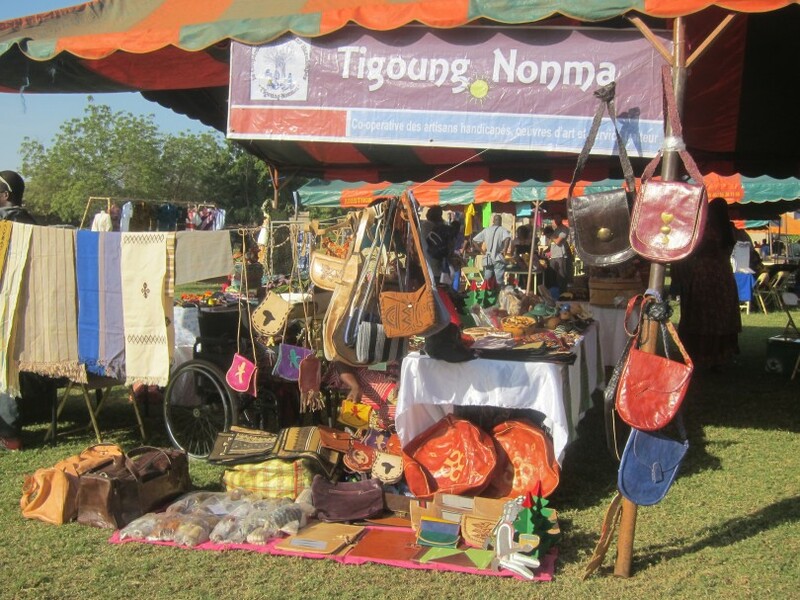 Visit Tigoung Nonma’s website for more information and browse their online store. You can also follow Tigoung Nonma on Facebook. 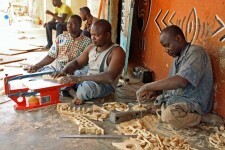 *Bogolan originates from Mali but is used throughout West Africa. It uses fermented mud to dye the fabric (bogo meaning ‘earth’ or ‘mud’, and lan meaning ‘with’).